Many of us may also be guilty of wasting our time and energy by not planning ahead. This is evident by the number of times we have to play “catch-up” both at work and at home. We usually know in advance what has to be done; but we leave it until the last minute. In fact it has been said that the last minute is the most important part of any day because so much work gets done then. Unfortunately other things invariably crop up and we end up starting those tasks, projects or activities too late. “Just-in-time” might be a great strategy for inventory control, but not for workload. You should keep ahead of the game as much as possible. 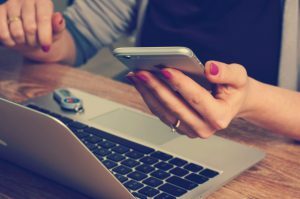 You might do this by listing all your repetitive weekly or monthly activities and working on them whenever you have a few spare minutes. For example I publish 5 tweets every Monday, a blog article weekly, and a newsletter bi-monthly. If I try to write 5 tweets on a specific topic on the day it is due, invariably they don’t get out until later in the week and are usually not that good. In addition I am rushed, under stress, and stealing time from other projects. So I write tweets whenever I get the opportunity and usually maintaun enough for 4 or 5 weeks. This is a real life-saver when I have to travel unexpectedly or get involved in an important project or simply don’t feel in a creative mood. I do the same with the other repetitive projects. It’s a great feeling when you are ahead of the game instead of having to play catch-up. If you’re a student you can keep a chapter or two ahead of the class. If you’re a teacher you can keep a lesson or two ahead. If you take minutes at meetings you can even prepare minutes in advance based on the agenda and leave blanks for specifics. And so on. It’s surprising how much idle time we all have – whether waiting for a bus, sitting in a dentist’s waiting room or suffering through lengthy TV commercials. Using the minutes will save hours – and a lot of frustration – once you make it a habit. Habits and routines also require less energy, leaving plenty for creativity, decision-making, and the mental demands of your significant projects and tasks. They also reduce the tendency to procrastinate since they require little or no thought. Although most people may think routines bring boredom, they can actually bring richness to the mundane, while saving time and mental energy to invest in higher pursuits. Developing the “Do it now” habit also helps you keep on top of your work. This doesn’t mean you should interrupt yourself from an important project or task in order to follow-through on some other idea that pops into your mind. In that case you would simply jot down the idea and carry on with the task at hand. But there are dozens of occasions when you think of something that has to be done and you assume you will remember it later. One of the biggest reasons we are continually playing catch-up is that we overestimate our ability to remember. If you walk into your office and realize you hadn’t submitted the week’s expense account yet, do it now. Otherwise it may slip your mind again and you’ll be playing catch-up the following week. Doing the little things right away will not interfere with your priority tasks if you allow extra time for those major tasks and projects when you schedule time for them in your planner. If you are not scheduling time for the important tasks in your planner already, you should start doing so. Working from a “To Do” list only is another reason people are always playing catch-up. Finally, if you continually take on more work in a day than you can possibly get done in a day, you will be forever behind in your work. Remember that tomorrow has only the same number of hours as today. Say “no” to the unnecessary in order to have time for the essential. There is an old saying, “Success is in the little things.” This is certainly true if you want to keep on top of your work. Any task you do should be done both efficiently and effectively. Efficiency is doing something in the best possible way, while effectiveness is doing the best possible thing. When you do something as efficiently and effectively as possible, you are being productive. In business, productivity is frequently referred to as the amount output per unit of input. Productivity is a combined measurement of efficiency and effectiveness. It can be influenced by many factors, including the skill of the workers, condition of equipment, environment, and even the culture of the organization. Efficiency, effectiveness and productivity need not be work-related. You can be very efficient at picking wild berries; but if they’re poisonous you’re not being very effective. On the other hand, picking delicious, nutritious berries might be effective, but doing so by choosing only the large ones and removing them from the bush one at a time might not be the most efficient way of doing it. If efficiency in life were measured in units of happiness per unit of input we could easily use these terms when discussing quality of life. The quality and type of input is important. If it consists of minimal effort, an unhelpful attitude and negativity, output will be poor and efficiency low. But if your input in life is positive, helpful, friendly and joyful, output will be high, efficient and fulfilling. As in everything else, there are exceptions. But having the odds in your favour is a great stress reliever as well. And stress seems to be a catalyst for many diseases, including high blood pressure, diabetes, anxiety, heart attacks and even cancer. To be productive, you must create value, whether that is in the form of useful products, improved health, a happier life or a needed service. Isaac Asimov, known primarily for his science fiction novels, wrote over 500 books, hundreds of short stories and an estimated 90,000 letters and postcards before he died at age 72. He created value, not only in terms of revenue, but in bringing entertainment to millions of people. Mother Theresa, Catholic nun and missionary, dedicated her life to helping the poor, the sick and the dying. She was responsible for the opening of orphanages, hospices, leper houses, schools and clinics. Vincent van Gogh produced 860 oil paintings over a ten-year period for an average of 86 a year. Both quantity and quality were involved – and certainly value. “Garbage in garbage out” refers to more than just computers. It is equally true for life itself. If you want good friends, be a good friend. If you want to get, give. If you want to succeed, help others succeed. If you want good health, live a healthy lifestyle. And so on. In your personal life, purpose, mission, personal goals, policies and values all help increase your effectiveness. And technology, creativity, routines, habits, organization and the wise use of time all help increase your efficiency. These factors are not restricted to the business world. 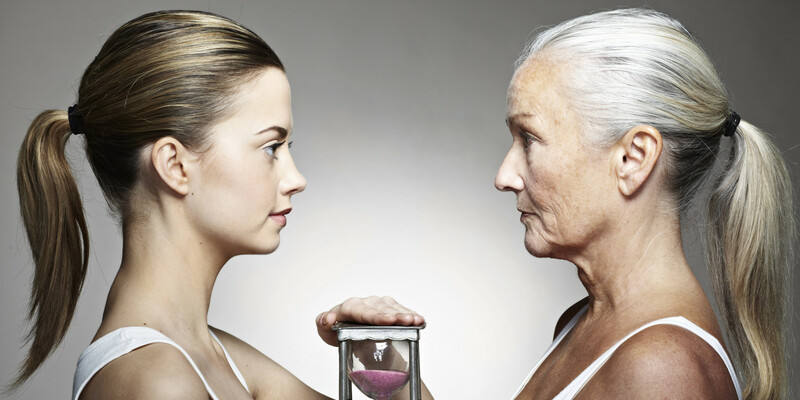 Why time flies as you age and what you can do about it. The September/October, 2017 issue of Popular Science gave the usual explanation as to why time seems to pass more quickly as we grow older. To quote, “To a child, one year can feel like an eternity, but to that kiddo’s grandparents, it passes in a flash.” They are referring to the fact that one year to a child is a lot larger percentage of their total lifetime to date as one year to an elderly person. As an example, as explained by Barry J. Gibb in his book, The Rough Guide to the Brain, for a 10-year old girl, one year represents 10% of her existence to date. That’s a long time. But to a 60-year old woman, one year represents less than 2% of her life experience to date, giving the impression of it passing much faster. The older you get, the faster life will seem to pass. From experience most of us can vouch for the truth of this statement. But what most people tend to overlook, is that there are more factors at play than age, Our perception of time is influenced by many things, such as heat, activity, stress, and speed – regardless of our age. Time goes just as fast for a child as it does for an adult when both are involved in an activity they enjoy. And it drags just as much when they are waiting in a line-up or taking a long trip in a car. We can compensate somewhat for the age effect by modifying our lifestyle. For example, when we are busy, jumping quickly from one job to another, time seems to pass more quickly. So stay clear of multitasking and avoid busyness as much as possible. Also, time spent with things seem to go faster than time spent with people. Cultivate friendships and don’t be stingy with your time when you are interacting with others. Gretchen Rubin, in her book, The Happiness Project, referred to a study that showed that doing things with someone rather than doing them alone is always more fun, regardless of whether it is exercising, commuting or doing housework. Of fifteen daily activities, researchers found that the only one people preferred doing alone was prayer. Rubin goes on to say that strong relationships not only add more joy to life, it lengthens your life, boosts immunity, and cuts the risk of depression. Mindfulness also slows down your perception of time. Just as gulping your food and rushing through meals takes the enjoyment out of eating while doing nothing for your health, rushing through life has its consequences. If you can’t remember what you had for dinner last night, you were probably mentally absent at the time. And the same thing applies to life itself. If you rush through life, multitasking and always thinking ahead about the next item on your bottomless “To Do” list, later in life you will wonder where the time went. Speed is the enemy of time management, not its ally. Life is meant to be savored, not dispensed with as quickly as possible. Slowing down will result in fewer errors, fewer accidents, a healthier lifestyle, improved relationships, and a more enjoyable and memorable life. These effects help move life along faster as you grow older. The longer you live, the more similarity in things you have done, and consequently the more compressed your life becomes. You are what your brain says you are. You have lived and experienced what your brain says you have lived and experienced. External time passes as quickly as your brain tells you it passes. Just as inactive waiting makes time drag, so a slow-paced, boring, non-eventful life seems longer while you’re actually experiencing it even though it seems shorter when recalled later. For many people, the days seem to pass slowly and the years seem to fly by. 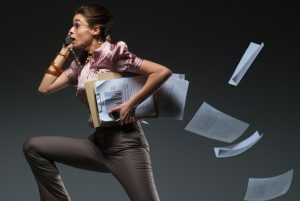 If you race through life, multitasking, cramming as many activities as possible into a day, generally time will zoom by. And when you’re in your seventies or eighties, it will seem like you have lived only half of that amount of time. That’s what I call poor internal time management. But this doesn’t mean you should lead a slow, quiet, boring, non-active life with plenty of waiting and therefore appear to live longer. Because there are other factors involved, the most significant being memory. When we contemplate how fast our day or life has gone by, we are relying on our memory. And our memory is very selective. It dismisses anything it deems insignificant. We remember the important things, such as graduation from college, that car accident, our first bicycle, a winning goal scored in a soccer game, a new job and so on. Our brain doesn’t bother with all the insignificant things that happen to us, such as those thousands of emails we reviewed and deleted or the mountains of paperwork that came across our desks or those trivial tasks we worked on, or those endless hours waiting for people. If we have a lot of significant events in our life – if we achieve significant goals, and we live purposefully – we will have plenty of vivid memories, and consequently, our lives will have seemed longer in retrospect. I discuss these things and more in my 64-page eBook, Internal Time Management: Slowing the Pace of Life, published by Bookboon.com, 2016. Are you taking a shortcut through life? I lived in the city of Toronto for over 60 years before finally moving to New Brunswick. For the last 23 of those years I actually lived in a condo in Markham, a city in itself, immediately north of Toronto. There’s a walking trail back of the condo in Markham that winds its way leisurely around a pond, through fields, wooded area, along a river, eventually emerging in the quaint village of Unionville, Ontario. People negotiate its many twists and turns either on foot or on bicycle as they get their daily dose of exercise. A pleasant walk indeed. On occasion, I even spotted the odd deer peering through the early morning mist. But surprising at it may seem, I also spotted shortcuts at every curve – paths beaten through the grass and wild flowers by walkers and cyclists who have been programmed by life to seek out the shortest distance between two points. Has the world gone completely mad? Why would someone whose sole purpose in the morning was to exercise or enjoy the outdoors want to take a shortcut? Yet this is precisely what they do. And I was tempted as well whenever I saw this swooping arc in the path ending at the foot of a bridge a scant 50 yards straight ahead. Is the real purpose of this path to take a person from point A to point B in the shortest time possible? Forget the rippling stream and swaying branches, the colorful flowers and fluttering birds. Ignore the early morning mist and the animals scurrying for cover in the bushes. Let’s get to Unionville as fast as we can! Upon reflection, I feel we negotiate life the same way. We try to get through it in the least possible time. Who has time to smell the flowers? Just trample them underfoot as we carve another shortcut through life. Dictate into a handheld device as you drive through the countryside. Skim through e-books as your child skates his heart out for your approval. Mentally rehearse that sales presentation as you and your family eat breakfast in silence. Use your wireless handheld computer to capture e-mail at the beach. Make every vacation a working vacation, every social event a networking opportunity and every airline flight a chance to work undisturbed. What is the impact of eating breakfast during the commute to work or using a cell phone as we weave through city traffic? A safety hazard? Absolutely. A stressor. Of course. A time saver? Not really. 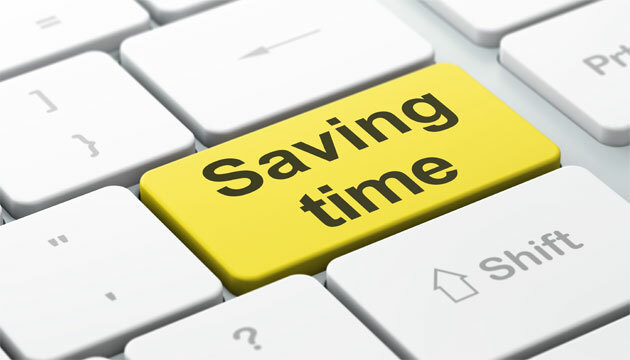 You cannot save time, stretch time nor salvage time. You can only use time. If you use it for trivial, needless or superfluous things, you are actually wasting it. We try to cheat life by cramming more into each hour; but by doing this we simply displace something else or ruin what that hour already had to offer. There are a few things that can be done simultaneously while preserving the integrity of each, such as listening to the radio while taking a shower or reading a book while waiting for a delayed flight to depart, but these are few and far between. In general, what appear to be time savers are actually life wasters in disguise. We are conditioned throughout our lives to hurry, be efficient, and not waste time. We are brainwashed by commercials that promote fast foods, speedy delivery and instant success. We are deluged with time saving appliances, super-swift devices and precision watches that track time to the nth degree. We move faster, talk faster, work faster and live faster. Children grow up faster and grownups grow old faster. Life itself seems to be picking up speed. It’s a beautiful life, but who has time to notice? Life expectancy has increased but its benefits have been nullified by our distorted perception of time. We are living faster than the speed of life. We are literally racing to our deaths. A year ago today I decided to get off the fast track and moved to a small town in New Brunswick. Initially, I was more impressed by the impact of nature on my health and well-being. And the sheer joy of picking wild blueberries and fishing unlimited trout streams. But then I became aware of a change in the pace of life. Only the tourists seem to be in a hurry. I noticed that when others walked, talked and drove more slowly, I tended to do likewise. And yet my productivity – in terms of my writing – increased instead of decreased. My blood pressure dropped an average of 10 points, and I felt more energetic in spite of my age. I have written in past blogs about my 80-minute commute in Toronto versus my 8-minute commute in Sussex, New Brunswick. And I have mentioned the research that proves beyond a doubt that a greater connection with nature and more interpersonal relationships actually increases personal productivity. They are up there with exercise when it comes to longevity. I now include a slower pace of life as one of our top benefactors as well. If you are a participant in the rat race, consider getting off that track. You don’t actually have to leave town as I did. But let the die-hards pass you on the way to the finish line. The secret of life is not to be the one to finish it first, but the one who enjoys it the most. Don’t live speedily; live abundantly. Time management is not doing more things in less time. It is doing things of greater importance in the time that we have. And who is to determine what is important? It’s your call. It’s your time. It’s your life. You may want to live it a little slower and savor the moments. You may even decide that it’s more important to see those fish gliding effortlessly between the rocks in that shallow stream than to arrive at Unionville ten minutes earlier.